We can supply different coloured backgrounds. We offer a full range of sizes and can create new sizes if required. We offer deals on larger quantities of photos required. 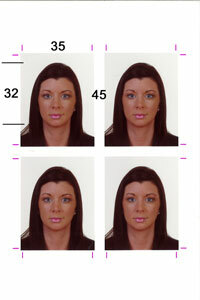 The Middle Eastern countries require the widest range ID photo styles and sizes but we have yet to be beaten. Please bring along your specifications if you believe them to be non standard.